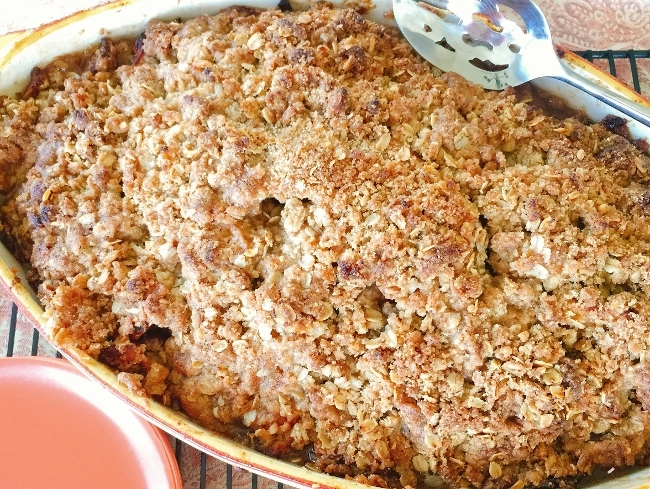 Apple Crisp for a Crowd - Recipe! - Live. Love. Laugh. Food. 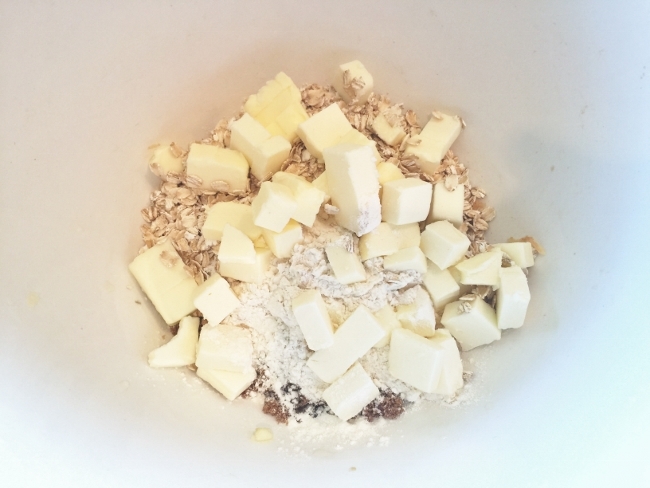 Apple Crisp for a Crowd – Recipe! 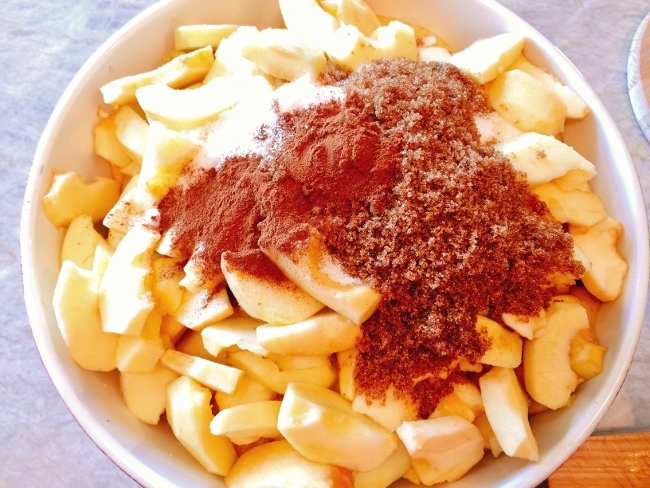 The comforting smell of cinnamon and apples baking in the oven is just heaven, especially around the holiday season. If you are looking for a great dessert that feeds a large group, Apple Crisp for a Crowd is perfect. 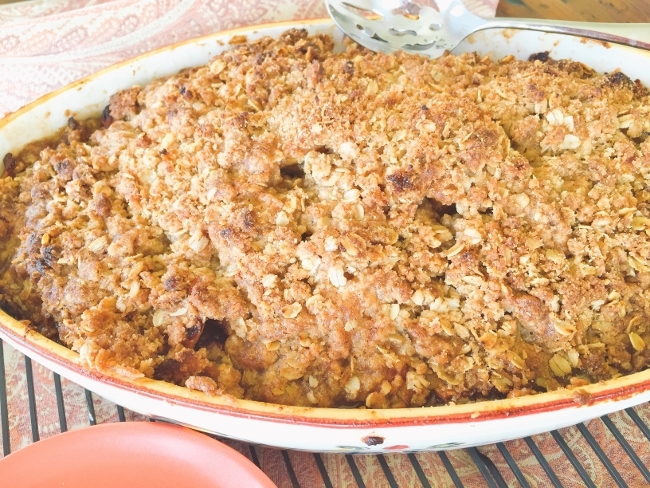 The apples cook down to a luscious creamy texture and the delightful crunchy oat topping adds great contrast. 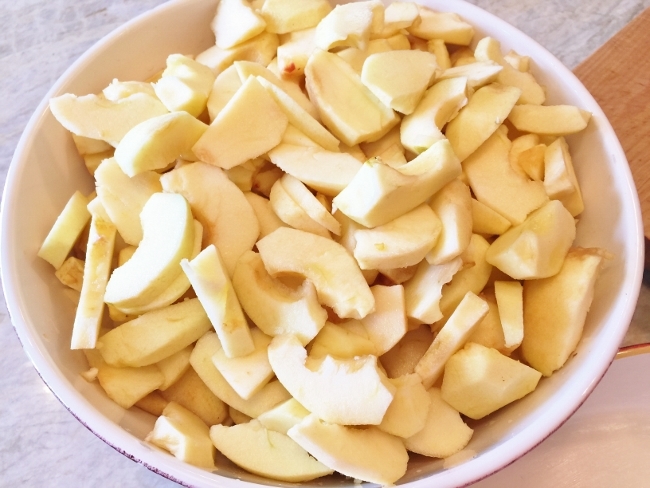 This recipe is relatively simple to create, you just need a few helpers to peel and core apples, so the baking can begin. You can serve this warm out of the oven or at room temperature and top with a dollop of vanilla ice cream or whipped cream, yum. 1. Preheat the oven to 375 degrees. Peel and corn the apples. Slice them into 1/4 inch wedges. 2. Add the cinnamon, nutmeg, cloves, cornstarch and brown sugar. 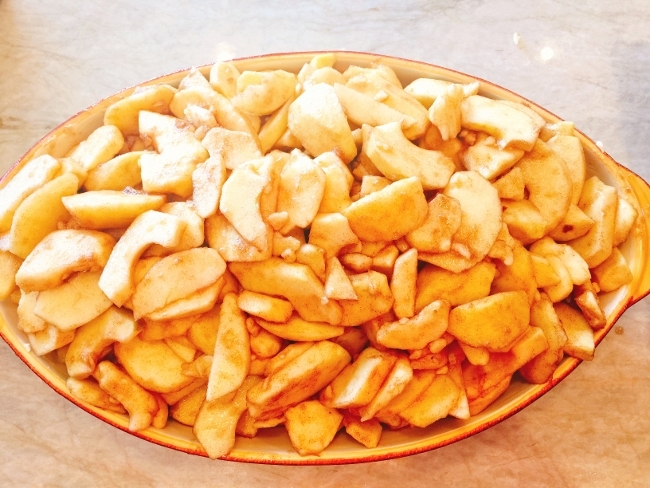 Toss the apples to combine the flavors and pour into a butter 6 quart casserole dish. 3. 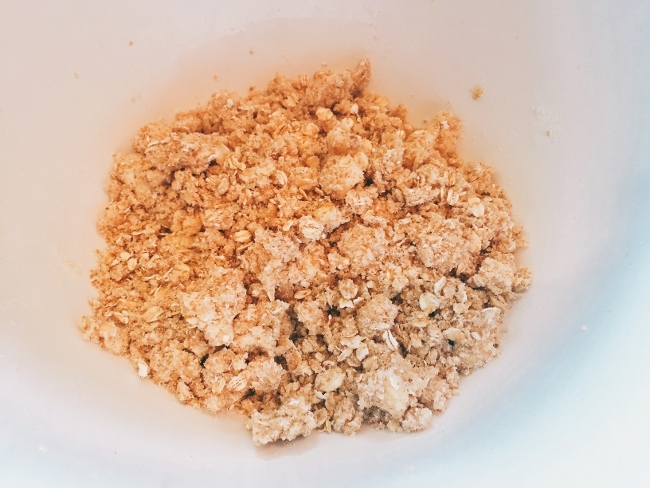 Next, to make the topping, combine all the ingredients in a large bowl and using a pastry blender or your fingers, combine the mixture, until it resembles coarse crumbs. 4. 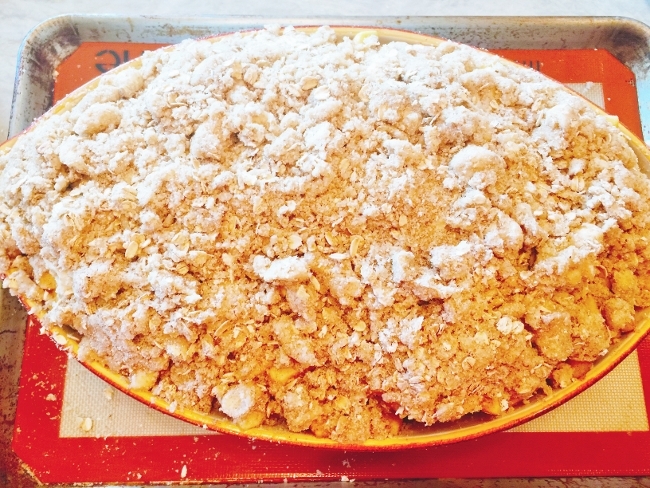 Place the crumb topping on top of the apples and set the casserole dish on a sheet pan. Bake in the oven for 1 hour 20 minutes, or until the topping is deep golden brown. 5. 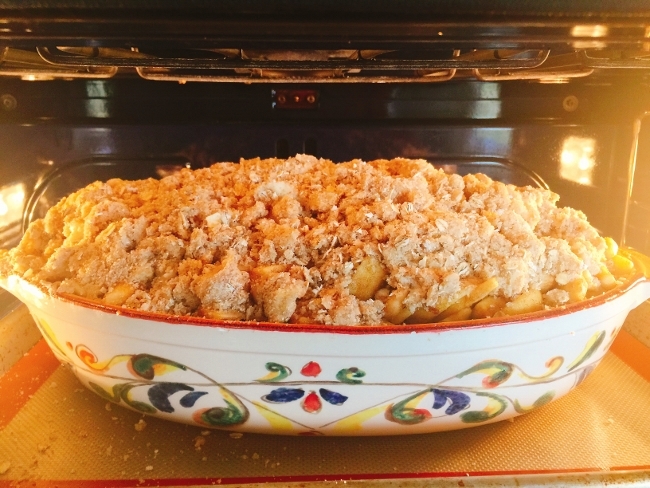 Remove the Apple Crisp for a Crowd from the oven and let cool for at least an hour before serving. I like to serve mine with a dollop of freshly whipped cream. Enjoy! 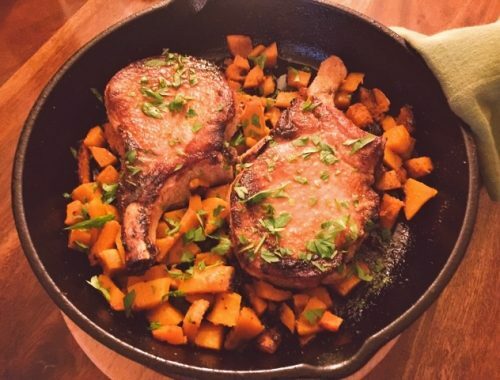 Skillet Pork Chops & Butternut Squash – Recipe! 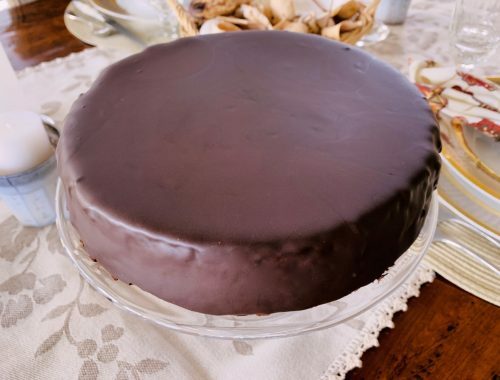 Queen of California Cake – Recipe! 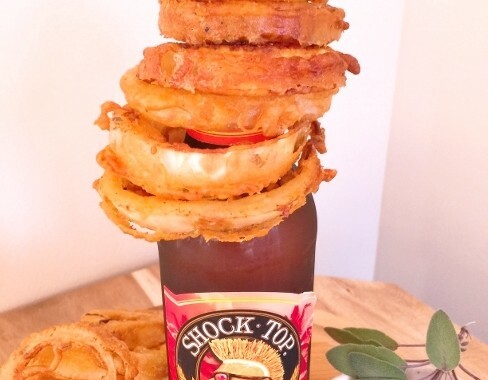 Football Party Favorites – Recipes!